“Google will never know if I have bad sites linking to me” Yes, they will! Just like Santa Claus knows if you’ve been good or bad. Just like the Tooth Fairy knows when you’ve lost a tooth. Just like your parents can sense when The point is Google knows (everything). Don’t try to fool them -- especially post-Panda, -Penguin, and -Hummingbird, or you will be sent to your room (well, in this case, penalized). If you know you have bad sites linking to you, that’s okay. It’s not too late. Just make sure you disavow them! With penalty algorithms, negative SEO can now impact businesses that are not carefully watching their backlinks and other metrics. There have even been studies of sites hit by negative SEOs that sent bogus traffic and negatively impacted bounce rate and CTR from Google SERPs. Watch your link profile, analytics, and be on the lookout for misuse. For a long time, it was okay to neglect the images on your site and still rank without using alt text and image file names to boost your page relevance. On-page SEO is more important than ever, so excluding images will prevent your website’s SEO from being the best it can be. Search engines cannot see images on websites, so it is important to give the image an alt text and relevant file name to ensure Google knows what the image is about. By not creating this text, you lose a huge opportunity to be as visible as possible online. to the alt text/filename of the image. The image types Google can index include BMP, GIF, JPEG, PNG, WebP, and SVG, so be sure to only use these image file types on your website to make it possible for Google to index them. Name your image files something that is indicative of what the image is itself, rather than something like IMG2394870.jpg. Yes, keywords matter here! Though it may seem like an impossible feat to beat out Wikipedia for Google’s answer box spot, it’s completely doable. See these images below as an example of two websites that outbeat Wikipedia because they created content that was more highly relevant. One example focuses on Google’s big update from 2015: Mobilegeddon. This list-based option came up first because it is the most digestible piece of information Google could find on this topic. well-structured content that is theme-relevant and optimized for a great user experience, and answer specific questions closely matching the query. for this even worth your time. The short answer is yes. You’ll also see the examples below give you a clear link to the article so you can read on to get more detail on a particular topic. Give this a try for yourself! Google and see where you find opportunities for your own blog or website. “I don’t need a mobile optimization strategy” rewards mobile-friendly websites and penalizes those that aren’t fully optimized for mobile in mobile search results. Websites that aren’t mobile optimized had an average of 5% decline in organic traffic. which expanded Google’s use of mobile- friendliness as a ranking signal. If your web presence screams 2009, you should be thinking about a comprehensive strategy to modernize your site and bring it in line with consumer expectations. If you’re limited by the technology you have in place, it may even be time to move to a modern website platform that delivers a responsive experience. The optimal experience for your visitors and your own performance is to implement responsive design. Responsive design makes your page adapt to the visitor and will display information that is sized and zoomed appropriately so it’s easy to read on whatever device he or she is using. Note: For customers hosting your website with HubSpot, you automatically get responsive design included with your COS Website. Your website should be mobile-friendly by default and look beautiful for visitors from any device. 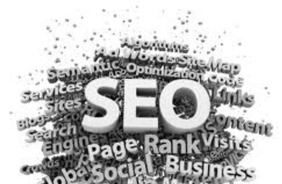 There seems to be a perception that SEO requires some technical expertise, and since it is technical, IT can just do the work. While there is a technical component to SEO, it requires way more than just technical chops, so I’d think long and hard before handing an entire project to IT or a web designer. that belongs in the hands of technoids with html street cred. With every new iteration of Google algorithms though, we are learning that SEO should really stand for being Simply Excellent Online. Though you may need some of those individuals to assist you during the course of optimizing your website, it’s far from ideal to just give SEO duties to IT and expect best practices to be adhered to. While many IT professionals are adept in many technical areas -- for instance, making sure your website is crawlable and setting up redirects and XML sitemap files --just remember that many IT personnel also work on things like setting up printers, which is … well ... a different skill set than what’s needed to effectively run an SEO strategy. Now that you know what the common SEO myths are, what are you doing that isn’t moving the needle? Or worse, what are you doing that’s making your SEO efforts worse? Understanding these SEO truths will make you both more effective and more efficient with your organic search strategy. If you can take one thing away from this guide, it’s this: More than anything else, SEO is about the overall experience for a searcher, and that experience starts the moment they enter a search query. The better their experience with you -- from your SERP listing, to the quality and relevancy of the content on your site, to the ease with which they can move through your site -- the better your SEO will be, too.